Tanacetum vulgare (common tansy) is a perennial herb (family Asteraceae) found in the Coastal Ranges, Cascade Range and along the north coast of California. Common tansy inhabits riparian areas, forests, and disturbed places, including urban areas, fields, and roadsides. This European native is cultivated as a landscape ornamental and as a medicinal herb. 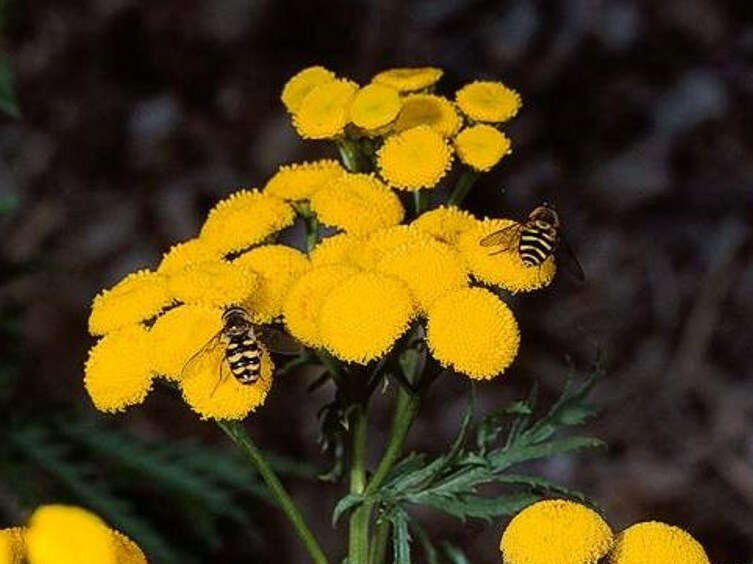 Taken in great quantities, common tansy can be fatally toxic to humans and animals, and some individuals may experience an allergic reaction after handling the foliage. Common tansy reproduces by seed and vegetatively. It is known to produce dense colonies via its extensive creeping root system, especially in riparian areas.